Morgan Smalley grew up awkward in Manassas, Virginia. Well, she was born in New Jersey, but she's glad she doesn't remember that. Morgan began doing improv her freshman year of college when she joined George Mason University’s team, the Mason Improv Association. 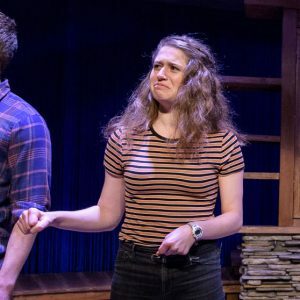 Among other things, she has since competed in the Fighting Improv Smackdown Tournament, hosted and participated in GMU’s cage matches, and performed in the Del Close Marathon. In her spare time, she loves writing and performing in various capacities. In her non-spare time, she can be seen doing homework, studying for tests, and finding other reasons to pull her hair out.